The men and women of Mäpuru offer inspirational workshops which are facilitated under the wise mentorship of the Mäpuru elders. Nature Philosophy has been supporting this Community Development Program since 2008. These trips often book out - please do not make an online booking for these workshops until you have confirmed your place with Sam or Kate. If you would like to find out more about these trips please be in touch. 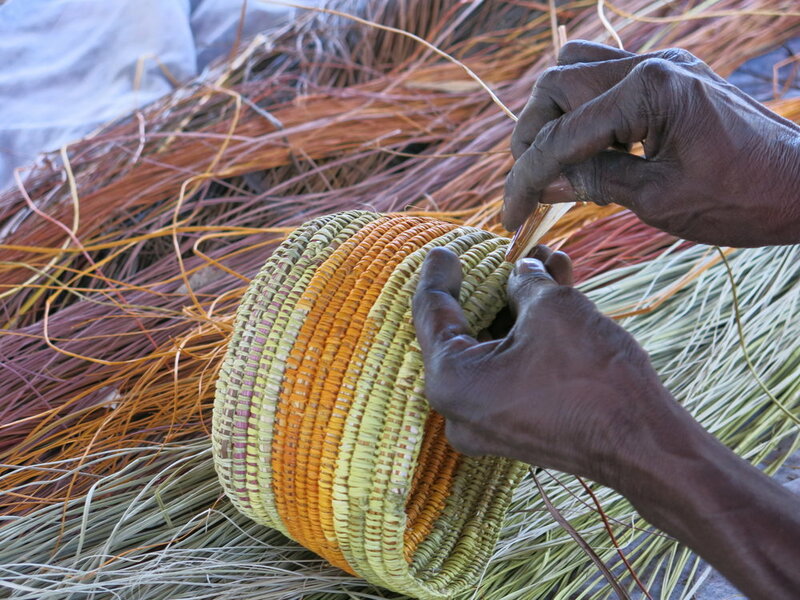 Workshops in pandanus basket weaving, string making, traditional bush foods & cultural exchange. This workshop is held over 10 days and is facilitated by the women of the Mäpuru Homelands Community. They will provide you with expert tuition in the skills of basket making and bush food. This men's workshop is held over 10 days and involves the Yolngu elders sharing their skills, expertise, and knowledge of their traditional lifestyle. In particular visitors attending this workshop will be guided in making a traditional fish spear, hunting spear and spear thrower.